My mother’s spirit hovered close to me today. I heard her in a meditation from a friend, in the warmth of another mother’s love, in the music and poetry of a creative genius. Mom was a prayerful woman who read her Daily Word every day. She loved watching the joy and accomplishments of her children and she was continuously creative and stimulated her mind daily with new things. I listened to the song “On My Way to Harlem” today, written by brilliant musician Gregory Porter. As I listened to this song I could see my mother walking the streets of Harlem with my grandmother – an extraordinary and loving woman. My grandmother — a true, tough, resilient, and independent New York woman — believed in exposure for her children and was in the right place to do just that — 125th and Lenox Avenue in the wonderful cradle of artistic and musical genius of the Harlem Renaissance: Langston Hughes, Duke Ellington, Zora Neal Hurston, and too many others to name on this page. My grandmother made sure that her children were well-bred, well read, and immersed in the ocean of gifts of that period that they were so very fortunate to be surrounded by at the time. The seed was planted and passed on through me and now through my children. 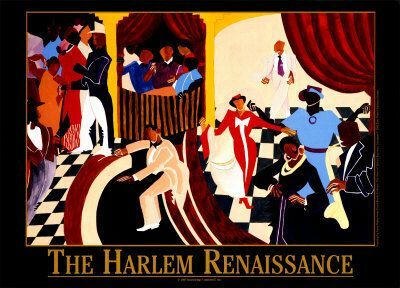 Harlem has changed now in so many commercial and gentrified ways, but the gifts that were planted there still live on — they will never die. They hover in spirit all around us daily. We have only to be still and listen, open our eyes and see remnants of their artistic genius all around us, and we must continue to educate our children to the fabulous ancestry from whom we have grown. Thank you living spirits for surrounding me with those things that bring me so much joy. Will attempt to reload YouTube link again. Thanks Sam.